Chinese President Xi Jinping has arrived in Panama — which broke ties with Taiwan last year and switched its allegiance to Beijing — for a visit aimed at extending his country’s political and economic influence in Latin America. Xi is set to meet Monday with Panamanian President Juan Carlos Varela, and sign an array of cooperation agreements. He will also meet with business leaders and visit the Panama Canal’s new Cocoli Locks. 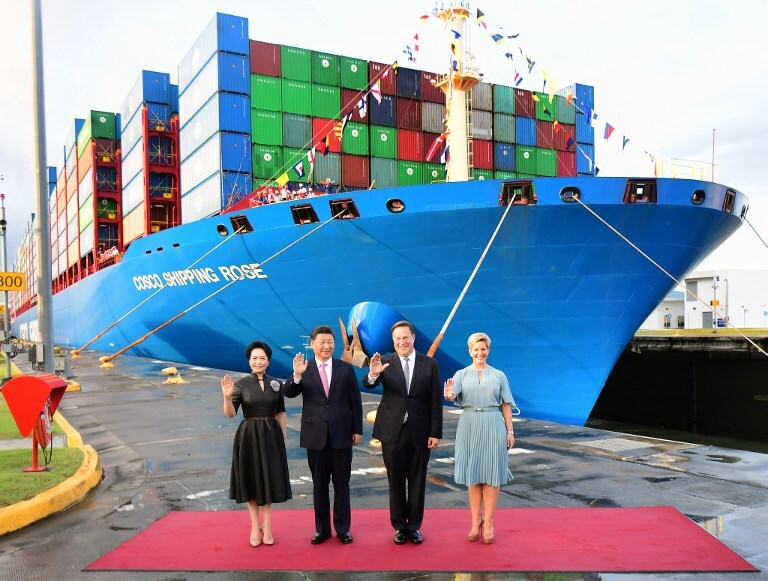 China’s President Xi Jinping (second-left) and Panama’s Juan Carlos Varela wave flanked by First Ladies Peng Liyuan (left) and Panama’s Lorena Castillo (right) in front of Chinese Cosco Shipping Rose container ship at the newly inaugurated Cocoli locks in the Panama Canal, on December 3, 2018. Photo: Luis Acosta/AFP. 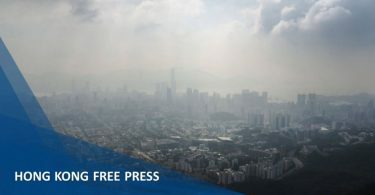 In a column written for the Estrella de Panama, a local newspaper, Xi said he had “high expectations” for the visit, the first ever by a Chinese leader to the country. “We must be cooperative partners of mutual benefit and shared profits,” wrote Xi, who arrived in Panama late Sunday from Argentina, where he attended the G20 summit. Beijing hopes that Panama can be a logistics hub for the expansion of trade in Latin America and the Caribbean — an idea that the business community here has fully embraced. These factors — along with Panama’s political stability, growing economy and deep financial network — are “very attractive” to China, Sousa added. Varela’s government is hoping that Beijing will make multi-million-dollar investments in infrastructure projects. The two countries are negotiating a free trade agreement. Varela, who visited China last year, promptly asked the US to respect his country’s sovereignty.